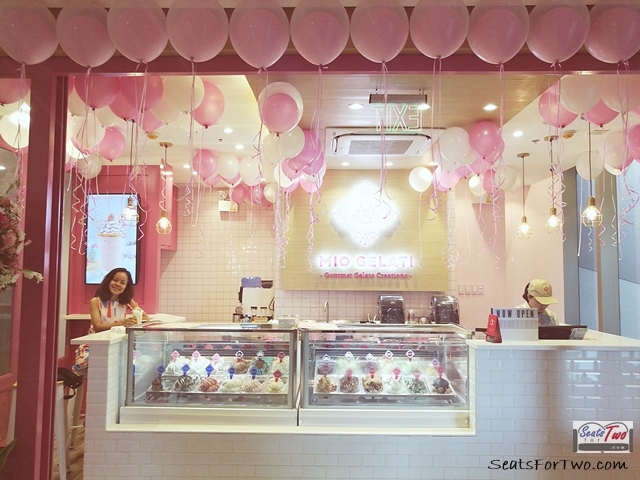 A new sweet spot opened its doors at the Ayala Vertis North in Quezon City. 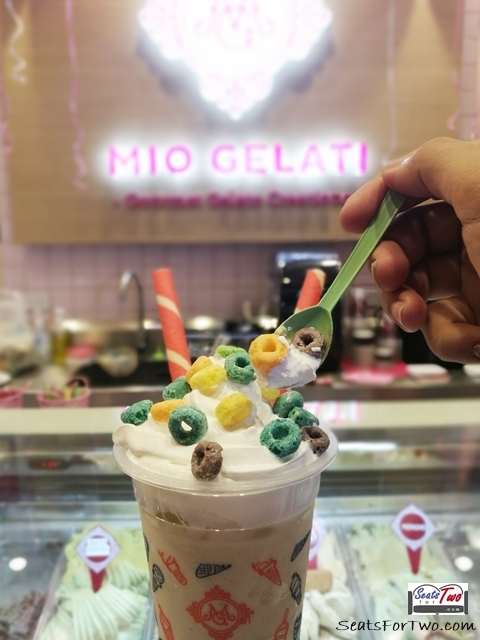 You will easily spot Mio Gelati with its baby pink store selling different variants of healthy gourmet Gelato. Seats For Two was invited during the store’s grand opening. 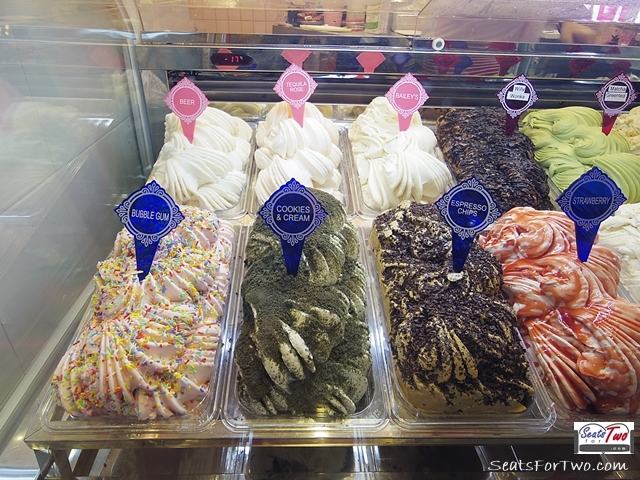 Mio Gelati offers at least 24 gelato variants, about six has alcohol content. These includes Baileys, tequila and beer. They also have the Chili Chocolate for those who are fans of spicy dessert. Treat your kids to bubble gum, Willy Wonka and cookies and cream gelato. Coffee lovers will surely not miss the Mio Gelati’s Espresso Chips. SeatsForTwo recommends gelati pistachio. A single scoop costs starts at P100 while the milkshakes costs P180. Since its opening, Mio Gelati has been our go-to Sunday dessert place after church. Mr. Seats For Two enjoys 2 scoops of gelato while I have a cup of coffee. Congratulations to Mio Gelati. We hope you’ll open more stores in the future. 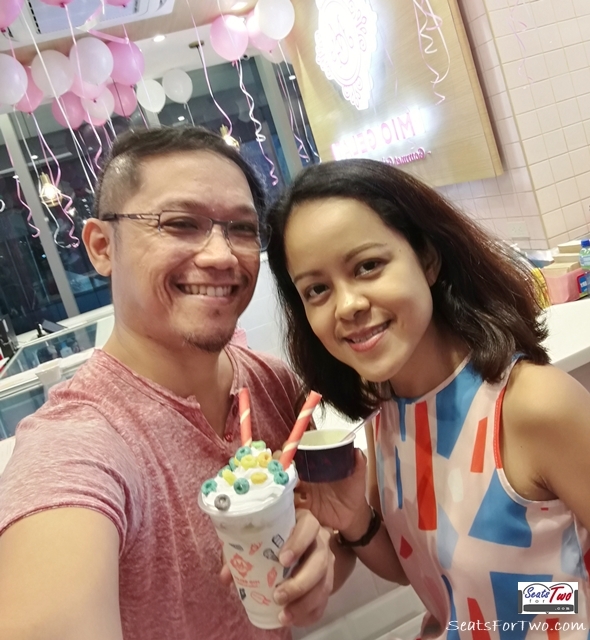 Ang sarap ng mio gelati ice cream sa photos! Movie Date with Krispy Kreme & Kung Fu Panda 3!